The Crow language contains a wealth of knowledge about Crow traditions and culture. Let's keep this knowledge alive. 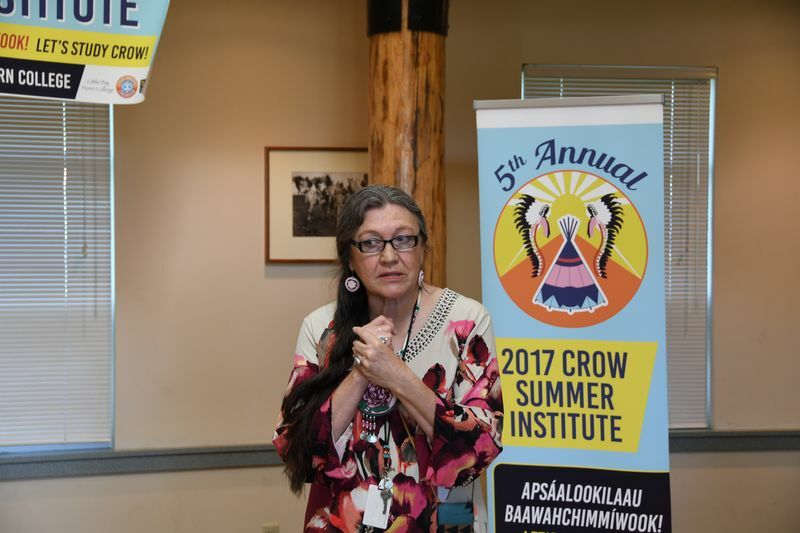 We support the Crow language by developing language-learning resources, organizing teacher trainings and other community language activities. The survival of the Crow language depends on your support. Together we can create a community of young Crow speakers! Ítchik daluúom! It’s good you’ve come! We are working together to build a strong Crow language. 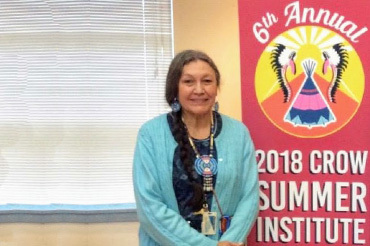 Crow Language Consortium is a collective of Crow schools, colleges, and educators that are working to preserve Apsáalooke (the Crow language) to ensure we can pass it on to future generations. We work to support Crow learners and teachers by developing language materials such as textbooks, dictionaries, flashcards, posters and more; by providing access to apps and multimedia; and by organizing intensive teacher training and workshops. Today, we are working with many Crow speakers to certify them as teachers in best-practice teaching methodologies. Crow Language Consortium is continuously working on new projects to strengthen the Crow language.